Edgar Milando Jenson was born on April 6, 1888, in Ephraim, Sanpete County, Utah. The correct spelling of his surname is Jenson, not Jensen. His parents were Hans Christian Jenson and Nellie Lunstein Jenson. He attended local schools in Sanpete County, and also taught school in Ephraim. He married Ivie May Gardner in the St. George Temple, September 4, 1918. She received an AB Degree from Brigham Young University in 1918. Born December 15, 1894, her parents were Reuben Gardner and Lucy Almira Snow Gardner. 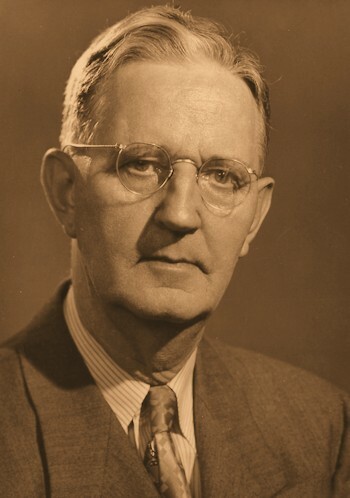 Edgar M. Jenson received an MA Degree in Educational Administration in 1919 from Brigham Young University, the first such degree ever given by that school. He was an education teacher at BYU from 1916 to 1917, and again from 1927 to 1959. He served as the Ninth Principal of Brigham Young High School from 1928 to 1935, along with being an Art Instructor. Served as Director of Training Schools after being Principal. The three daughters of Edgar and Ivie Jenson included: Nellie Jenson [BYH Class of 1937] (Herman) Adams of Parowan, Utah; Beverly Jenson [BYH Class of 1941] of St. George and Provo, Utah; and Gloria Dawn Jenson [Class of 1946] of Provo. He was widely known for his collection of Danish stories and folklore. Edgar M. Jenson first assembled Sanpete Tales: Humorous Folklore from Central Utah in hand-written and hand-illustrated form for his three daughters. He was well known in the Sanpete area for his love for these stories and his success at collecting them. A methodical, precise and professional leader, he initiated a program for teacher training. He organized and supervised the program, training teachers who served Washington County and the surrounding area for many years -- some for a lifetime. He was a skilled artist and many of his paintings are in homes of longtime residents of St. George. He created the Art Circle and Art Gallery at Dixie College. principal of BYU High School, and head of the BYU Teacher Replacement Bureau. Faculty & Staff. Edgar Milando Jensen, M.A. ~ ~ ~ ~ Source: Annual Record, B.Y. University, Book 9, page 178. ~ ~ ~ ~ On September 4, 1918, he married Ivie May Gardner ~ ~ ~ ~ Edgar Jenson was an artist, teacher and educational administrator. These are not traditional pioneer stories. Rather, they are the collected folk humor of the Scandinavian immigrants of Sanpete County, Utah. They provide a peek at the humanity of the people who helped build the West, as if a comedian were cast in the lead in John Wayne's place. The tales are straightforward and simple, loaded with broad, earthy humor and topped with dry wit. These are not traditional pioneer stories. Rather, they are the collected folk humor of the Scandinavian immigrants of Sanpete County, Utah. They provide a peek at the humanity of the people who helped build the West, as if a comedian were cast in the lead in John Wayne�s place. The tales are straightforward and simple, loaded with broad, earthy humor and topped with dry wit. HIS OBITUARY ~ June 6, 1958. Mr. and Mrs. J. H. Jenson and Mr. and Mrs. Alvin Rigby of Ephraim were in Provo Saturday for the funeral of Edgar M. Jenson held at the Berg Mortuary. 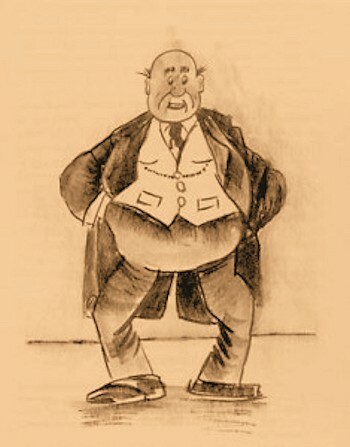 Mr. Jenson, prominent Utah educator and artist, died May 28 (sic -- actually May 25, 1958). An active member of the LDS church, he was a high priest at the time of his death. Survivors include his widow, three daughters and three grandchildren. Edgar Milando Jenson (1888-1958) was an artist, teacher, and educational administrator in Utah. Edgar was born in Ephraim, Utah, to Hans Christian and Nellie Lunstein Jensen on April 6. He attended local schools and also taught in Ephraim. On September 4, 1918 he married Ivie May Gardner in the St. George, Utah Temple of The Church of Jesus Christ of Latter-day Saints. The couple had three children: Nellie, Beverly, and Gloria. 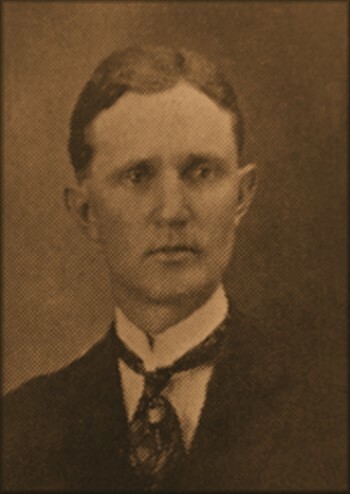 Jenson received a master's degree in Education in 1919 from Brigham Young University and was the first to receive such a degree from the school. After completing his degree he embarked on a career in education. 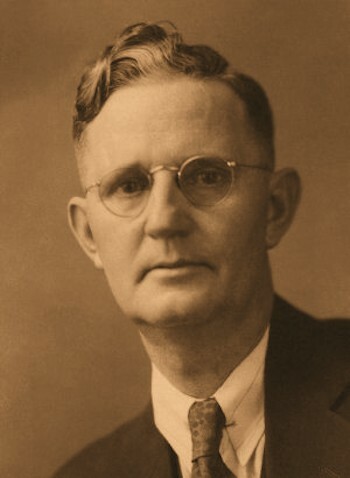 He taught at many schools and was the president of Dixie College (1923-26), head of the BYU Teacher Replacement Bureau, and an art teacher at BYHigh, where he also served as principal from 1928-1935. He was a member of the BYU Visual Arts Faculty. Although known for his administrative capabilities, Jenson is also known for his illustrations and for his stories. 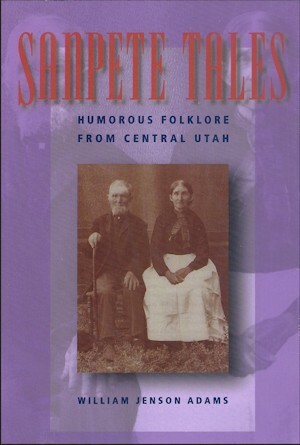 His grandson, William Jenson Adams, collected many of those stories and published them as Sanpete Tales: Humorous Folklore from Central Utah. On May 25, 1958 Jenson passed away in Utah. Eight years later, on July 21, 1966, Ivie May also passed away. Daughter of Reuben Gardner and Lucy Almira Snow. Married Edgar Malindo Jenson 4 Sep 1918 in St George, Washington Co, Utah. Nellie Jenson Adams, 90, passed away Dec. 3, 2010 in Mesa, Ariz. Nellie was born March 3, 1920 in St. George, Utah, the oldest of three daughters, to Edgar M. Jenson and Ivie May Gardner Jenson. Nellie married Herman Adams on July 20, 1950 in Provo, Utah. They resided in Enterprise until 1963 when they moved to Parowan. They were sealed on July 5, 1990 in the Jordan River Temple. She graduated from BYU with a degree in English and Elementary Education. Nellie taught in elementary schools throughout southern Utah. She retired in 1983 as a special education teacher in Parowan. She was a natural teacher and an influence for good in the lives of her students and children. She loved literature, the arts, nature and the beauty of southern Utah. While teaching in St. George, Utah, Nellie illustrated the book �Under the Dixie Sun.� During World War II she worked as a secretary at the Navel Supply Depot in Clearfield, Utah. She loved her family, colleagues and friends, and inspired the love of learning in her children. After retirement Nellie enjoyed working in the name extraction program for many years. She was preceded in death by her husband, Herman Adams, and her sister, Beverly Jenson. She is survived by her sister, Gloria Jenson; three children, Keith (Jolene) Adams, William Adams, and Deanna Adams; five step-grandchildren, Melanie (Adam) Arp, Marcia (Allen) Brant, George Henry (Rachel) Bowser, Melisa Doston, and Monica (Brian) Myers; and 14 great-grandchildren. Services will be Saturday, Dec. 11 at 1 p.m. in the Parowan Stake Center. A viewing will be from 11:30 a.m. to 12:30 p.m. before services at the church. Burial will be at the Parowan City Cemetery under the direction of Southern Utah Mortuary. Online condolences can be sent at www.sumortuary.com. Class of 1941. Beverly Jenson [not Jensen]. Opera. Fauvines. Notre Maison. ~ ~ ~ ~ Beverly Jenson was born on July 18, 1923 in St. George, Utah. Her parents were Edgar Malendo Jenson [one of the principals of BYH] and Ivie Gardner Jenson. Beverly Jenson [no other name] died on January 2, 1998 in Provo, Utah. ~ ~ ~ ~ HER OBITUARY: Beverly Jenson died peacefully in her sleep at her home in Provo on January 2, 1998. She was born on July 18, 1923 in St. George, Utah to Edgar M. And Ivie May Gardner Jenson. She attended schools in Provo, and graduated with a major in education from BYU in 1945. In 1954 she received a Master's degree in education from Columbia University. She taught in elementary schools in Overton, Nevada and in Cedar City, Provo, Springville, and for many years in St. George, Utah. Upon her retirement she made her home in Provo. She was a member of the Provo 9th Ward, and served in both the Junior Sunday School and Relief Society. Beverly was a caring, loving person who gave of herself and helped others. She found special pleasure in helping Amerasian children through the Pearl Buck Foundation and over the years supported many of these children through their schooling in Korea, the Philippines & Thailand. Among Beverly's many accomplishments were an excellence in handiwork, weaving, & working with miniatures. Beverly is survived by two sisters, Nellie Jenson (Herman) Adams of Parowan, Utah and Gloria Jenson of Provo; and nephews & niece: Keith L. Adams of Dayton, Ohio; William J. Adams of Manhattan, Kansas and Deanna Adams of Mesa, Arizona. Funeral services were held Tuesday, January 6, 1998 at the Provo Ninth Ward Chapel. Interment, Pine Valley Cemetery, Pine Valley, Utah. [Provo Daily Herald, January 03, 1998.] ~ ~ ~ ~ Her parents: Edgar M. Jenson and Ivie May Gardner Jenson. Their children included Nellie Jenson [BYH Class of 1937] (Herman) Adams of Parowan, Utah; Beverly Jenson [BYH Class of 1941] of St. George and Provo, Utah; and Gloria Dawn Jenson [Class of 1946] of Provo.